So often we get caught up in what is right and wrong, thinking it is simply black and white. We have a tendency to get very judgmental when someone challenges our thoughts and beliefs without taking into account what they may be thinking about the specific situation. In this episode, I’m discussing how we perceive morals, beliefs and core values. 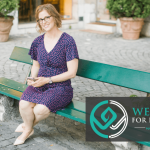 I’ll share a personal story of how I recently coached a client on this subject and what you can do to avoid feeling guilty and disappointed in yourself. I also touch on the importance of taking ownership of your thoughts and behavior. Listen in if you want to find out how to put your values on the line to discover if they are genuinely the things that matter to you. How to re-evaluate your core values and decide if they are truly the things that matter to you. How people perceive right and wrong differently. The benefits of challenging your beliefs when needed. The importance of taking ownership of your behavior. 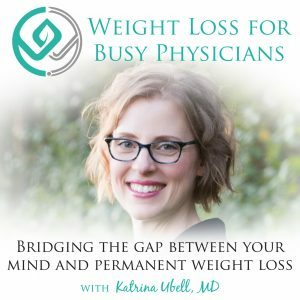 Katrina Ubell: You are listening to the Weight Loss for Busy Physicians podcast with Katrina Ubell, MD, episode number 118. Welcome to Weight Loss for Busy Physicians, the podcast where busy doctors like you get the practical solutions and support you need to permanently lose the weight so you can feel better and have the life you want. If you’re looking to overcome your stress-eating and exhaustion and move into freedom around food, you’re in the right place. Hey, there, my friend. What’s up? How are you doing today? I’m doing amazing. In fact, I just got a new computer and I set up Garage Band, which is the program that I use to record this podcast. And I always do a little test because there’s absolutely nothing that I want less than to record a whole podcast for you and the audio’s not working right or something’s not working right. So I always do just a little test just to make sure. And I pulled everything up. And it wasn’t recording. And I was, again, so glad that I always do a test. It’s the best. So good that I do that. So anyway, I thought, “Oh,” right away. I’ll tell you, right away my first thought was, “I don’t know how to fix this,” because my brain really tries to tell me that I’m not super tech savvy even though I do have evidence that I can figure things out. I also have evidence that I have trouble figuring things out. So it’s kind of like a 50/50. A little back and forth. And so my very first thought was like, “Shoot, I’m not gonna be able to figure this out,” and then I immediately changed that to, “Or I could just start trying. Maybe it’s not that hard.” And it turns out that I was able to figure it out really pretty quickly, which was awesome. And when the test came through and it worked I was like, “Yes, look at me. See, I am good at tech. I can do this.” And my new iMac Pro is amazing. It’s so large of a screen, I feel like I don’t even know where to look. It is the best. Love it. So if you have any need for a desktop computer, telling you, I highly recommend. It’s amazing. And did you know? I feel like so many people don’t know this. You can get a refurbished Mac. I found this out from my family photographer who’s also a friend a number of years ago. She’s like, “No, I always buy all of my equipment refurbished.” And it’s really important for her to have top quality stuff for all the editing that she does and all of that. She needs really top of the line stuff and she updates pretty frequently, like every year or two. And she’s like, “Listen, it’s like a 14-day return policy on these items. And so there’s just some rando who got the computer, didn’t like it, and returned it. And then you get this discount on it. It’s basically an absolutely brand new comp.” And so I thought, “Okay, I’m gonna try that.” And I’ve done it a couple times now. And it literally is a brand new computer. I mean, you cannot tell at all that anybody has ever used it. And they probably touched it once or they never even took it out of the box. Who really even knows? And then you save a little money. And so all you have to do is just Google Apple refurbished or something like that and it’ll come up and you can see what’s available. And you could save yourself some serious cash doing that. So little tip. Little FYI there for you. So today’s topic is something that I think a lot of you struggle with. I think some of you more so than others. I think some of you spend more time really pondering this stuff and others of you are just kind of like, “Okay, whatever Katrina talks about, I’m just gonna think about it that way.” But I recently dug into this with one of my clients. And it’s such a good thing to work through in terms of the model. And the question really is where do morals fit into the model? What about right and wrong? Right? We were taught this as kids. Where does right and wrong fit into the model? And I think this is such, such, such a great question, such a great thing to think about. Of course, if anybody asks me this, I know they’re wrestling in their brain, right? They’re spending time really trying to figure this out and I love that. Because they’re not just taking it super face value. They’re really trying to apply it to their lives and get forward motion and improvement in all areas. Even the ones that seem more complicated or tricky like morals. So as you know, I always like to look up definitions to just see what does this stuff actually mean. And so I looked up the definition of moral and one of the definitions, because there’s a few, was expressing or teaching a conception of right behavior. Expressing or teaching a conception of right behavior. And I thought, “Well, what is conception? What’s the definition of conception?” The originating of something in the mind. So interesting, right? Because so many of us think that morals are just what’s right. It just is. Right? Expressing or teaching a conception of right behavior, but that conception was something that just originated in our minds. So by default, then, whatever you think is moral is your thought. So so many of us get caught up in what is right behavior though, right? Some of us think that right and wrong is very black and white. So a couple examples. Think about more western society versus more of a traditional society. I’m not gonna list religious influences or certain countries or things like that. But you can imagine. You can envision that in your head. In the west, most of us believe that it’s right for women to be able to move around as we wish. Like if I want to go to the grocery store, I can just get in the car and go. Or actually, I can walk to one. It’s that close to my house. I can just leave my house whenever I want to to do whatever I want to. And we believe that that is right. We believe that it’s wrong to require women to be chaperoned by a male relative when we’re out in public. We think that that’s not okay. But in more traditional societies, they believe the absolute opposite is true. They think that it’s right for women to be chaperoned by a male when out in public and that it’s wrong for women to move around as they see fit. So who is right? Both groups of people think that they’re right. Even within our own western society. Some people believe that it’s right for everyone who pays taxes to be offered a free college education. Like the government should pay for their college education. And they think that it’s wrong to require higher education degrees for so many jobs that people don’t get any help paying for it or that they go into massive debt to pay for it. So some people really believe that. And others believe that this is totally the wrong way to do it. And that it’s not right at all to offer free education. That it’s wrong to offer that. That people need to have skin in the game. They need to really, really think about whether the education that they’re getting is useful and not just take advantage of what the government is offering. So again, who is right and wrong? I mean, these are big political arguments. And we can go into a gazillion different topics here where anything that divides people, right? People, one group of people think this thing is right and other people think it’s wrong. So what is a belief? Right? Because this is all about a belief. We believe there’s a right way. We believe there’s a wrong way. So what is a belief? A belief is a thought that you thought so many times that you believe it. Sometimes as children, our parents offer us a belief which is their thought that they’ve thought so many times that they believe it. And we believe our parents. So we adopt it as our own belief. Other times, it takes us thinking the same thing over and over and over many times in order for us to believe it. So in the framework of right and wrong, and with right and wrong I’m using air quotes around them. Right and wrong. Who is right? Many of us believe that we were taught right from wrong when we were growing up. People will speak that way. Well, I was taught right from wrong by my parents or I’m making sure to teach my child right from wrong. And what this does is it makes the assumption that there’s a 100% right way or wrong way to live or just show up in the world or to behave. And it really is just a collection of thoughts that the adults in our lives transfer to us or that we’re transferring to our children in order to help them or in order to help us. So for instance, a lot of people think that if you know right from wrong, in quotes, right? You will stay out of jail. You won’t make decisions that will decrease your chance of being successful. We think that knowing right from wrong will somehow help us. And maybe it does. There’s probably a lot of things. I don’t want to go to jail. I think it’s wrong to murder people. I think I like that belief of mine. But here’s what’s interesting. It’s like we like to focus on the beliefs of right and wrong that we’re 100% behind. We’re like, “Yeah, I got it.” But we kind of ignore the right and wrong beliefs that don’t serve us. Or we don’t realize that what we’re doing is we’re actually changing our way of thinking about what’s right and wrong. So here’s an example. If you were raised by a mother who was a stay at home mom and you were raised with a belief whether it was actually physically spoken to you or whether you just kind of interpreted it in this way for whatever reason. If you believed that the right way to raise children is for them to have a stay-at-home mother. Right? So that may have happened. You had a stay-at-home mom yourself. And you believe that that is the right way to raise a child. But then you become a doctor. And now you have a career. And even if you’re working part-time, you are still not being that full on stay-at-home mom. And you’re not home with your kids all of the time. So then what do we do? How do we reconcile this? So you either change your belief about what is the right way to raise your kids. Meaning you just decide, no, I actually think that there’s multiple ways you can raise a child and have them be happy and successful in their lives. And some of us recognize that if we were stay-at-home moms, we probably would actually be doing our children a disservice. Not all of us, but some of us, right? And so we change our belief. And we go, “You know what? There’s lots of ways to do this. And I’m just gonna decide that the way I’m doing it is also right.” So now you’ve changed your belief. You’ve changed your thoughts and decided to believe them about what is the right way to raise a child. But not everybody does this and I see this quite often with my clients where they have this deep down belief that the right way to raise a child is to be home with them, but then they have this career and they’re not home with them. So what they’re then doing is they’re suffering constantly with the thoughts that they have that make them feel guilty for not doing it the right way. They believe that what they’re doing is not the right way and they want to believe that it’s okay. But until they let go of that belief that a stay-at-home mom is what’s needed to raise a child correctly, they’re still going to have this conflict. And what guilt is is an emotion that stems from a thought that somehow indicates that you’re doing something wrong. So I have this job, I work outside the home, I’m away from my children, and that’s wrong. I should be home with them. But then it gets conflicting even more when we’re like, “But I don’t really want to be home with them.” So then what does that mean about me? And then sometimes we start getting into shame thinking that something’s wrong with us. But so you can see that a belief is available to you to change any time. We can just change our beliefs about what we believe is right and what is wrong so they cannot be fact, right? So many people want to put what they think is right and wrong. What’s moral on the C-line. On the circumstance line of the model. But what that ends up doing is creating a lot of pain for them. And we know that that’s not a fact because all humans on Earth are not gonna agree about what’s right and what’s wrong. I mean, I think that it’s wrong to get on an airplane, and fly it into a building, and kill everybody. But the people who do that think it’s right. They think it’s incredibly right. So none of those things can go on the circumstance line. Nothing about what’s right and what’s wrong can go where neutral facts go. All of that has to go on the thought line. So you might be thinking like, “Okay, that all sounds fine and good. But where does this really even show up as a struggle? Where is this even a problem?” So I’m gonna give you an example of someone that I just recently coached on the subject. And so she had gone through a divorce. She’d done a lot of work on her relationship with her former husband, ex-husband. And so she felt like between him and her, she’d done a lot of work and she was at peace with what had happened and that was okay. But where she was still struggling was with her children and how he was showing up as a parent compared to how she was showing up as a parent. And so one example that she brought up … And sometimes, seriously, these examples that we’re like, “No, it’s not even that important.” This is everything. Because when we can see it in something that’s not that important, then we can extrapolate it to everything else. So what had happened was she picked up her child from school and the child was missing an article of clothing that she believes is an important thing for a child to wear to school. And so she decided that that was wrong of him to send the child without this article of clothing to school. And she really had a hard time seeing that what the child was wearing was a neutral fact. And what she kept going back to, but where does right and wrong come in? It’s right for a child to wear certain articles of clothing to school. And that belief that there’s a right way to send a child to school. Right number of clothes or items of clothes that they should be wearing created so much pain for her. But she thought it was a fact. She thought, “No, this is … Normal people, people who know right from wrong are gonna send their child to school wearing this article of clothing.” But it’s not a fact because not everybody agrees. The former husband … I can’t get that out of my head. Just as an aside, right? We used to call children ex-preemies. And then they were like, “Don’t call them ex-preemies. Call them former preemies.” And I’m like, “Why do we call them ex-husbands? They’re former husbands. But anyway, the former husband does not believe that that is such a deal breaker, right? Maybe he thinks, “Yeah, I mean, it’s totally fine. But if the child doesn’t want to wear it, who cares? It’s not a big deal.” So what we like to do then is when someone differs in their opinion about what’s right and wrong, we like to get very judgmental of them. We like to judge them and think that they’re wrong and they’re bad and we’re right. And the best description of that scenario is righteous indignation. Right? We are right and we are willing to create all of the pain for ourself in the name of what’s right. Right? Even though it creates so much pain. So where I think everybody gets confused is in thinking that if you stop thinking that the way someone else is doing something is wrong, then what’s the point of society? Why do we have any of this then everything falls apart? And that’s not the case at all. But what you’re doing when you’re trying to influence how other people view right and wrong, you’re not even doing what you think is right and wrong. Because you probably think that it’s right to be kind to people and to not be passive aggressive towards them and things like that. Yet, you’re being unkind to the former husband or the other person even if it’s just in your head with the way that you’re thinking about them. So you’re actually going against your own morals, against what you believe is right and wrong because you think the other person should be different. And again, it’s righteous indignation. We think that we’re justified in doing it because they should be seeing it the way that we’re seeing it. And instead, what I want to suggest is that you let them live their lives. You stay out of their business. And you focus on yourself. And you focus on showing up how you believe is right. You can always send your child to school with that article of clothing and let that other person decide. It’s really something that is optional. And when you can release the tight fisted grip on what’s right and wrong, you have so much less resistance in the world and your experience of the world is so much better. But we think that we need to resist it. That the resistance is what’s going to change. But I guarantee you in this example, the more she resists the former husband and lets him know that she disapproves of how he sends the child to school and all the other things, I’m sure there’s lots and lots of other examples. Do you think he will try to do better? Probably not. Right? What she’s trying to do is manipulate him to be different so she can feel better. Instead, feeling better is available to her. All the time. By just deciding I am responsible for myself. I am responsible for how I dress my children. I am responsible for how I show up and how I interact with every human being in this world. Including my former husband and including me within my head. This is super powerful stuff, you guys. Super, super powerful. And this applies to teenagers that you’re struggling with. Mothers-in-law, and mothers, and fathers, and fathers-in-law. I mean, you name it, right? Think about where you’re doing this. As I told you in last week’s episode, you may be like, “No, I’m happily married. How does this apply to me?” No. Think about where you’re doing this. I guarantee you, you do it somewhere in your life. I do also just want to talk about values quickly. Because values is another thing that comes up. Oftentimes we talk about our morals and our values kind of together. And so a value, there’s lots of ways of describing it, but a value is relative worth merit or importance. So basically it’s what’s most important to you. So you may have seen those lists of values. And you can go through exercises to determine what your core values are. What are the things that are most important to you? And some examples are like integrity, dependability, generosity, recognition, flexibility. I mean, there’s so many of them. I mean, I was looking up one, I think it had a list of 200. And so you can go through an exercise to narrow that down to maybe the top five or 10 that are most important to you and people will call those your core values. So those are the things that are really the big drivers for you. Things that are most important to you. And things that are most important to you though, this is important to understand, are not just in your DNA. It’s not who you are. It’s not a genetic phenotype, right? It’s not just like this is how these genes are expressed. Your core values are a thought you have about yourself that you like. So for instance, let’s say that flexibility is a core value of yours. The reason it’s a core value is because when you experience experiences that are more flexible, it’s easy for you to have positive emotions about it. It’s easy for you to be happy and have positive emotions and an enjoyable experience because it’s something that you’ve decided you like. Other people don’t really need a lot of flexibility at all. It’s not something that’s that important to them. But let’s just say … Let’s play this out here. Let’s just say flexibility is a core value of yours but you have a job that doesn’t offer much flexibility. Where you can get in trouble with these values is in thinking, “Well, I can’t be happy in this job because flexibility is one of my core values and this job doesn’t offer flexibility.” And then we start telling ourselves, “Well, I would find another job that’s more flexible, but I have to stay at this job for X, Y, Z reason.” And as you know, as I’ve taught you, you never have to do anything. You literally can just go live in jail and be taken care of the rest of your life. So you are still always choosing the job even if it goes against what you believe is a core value of yours. But let’s just say your spouse or something is finishing up their fellowship or residency and like … Also a core value of mine, that I live in the same city or vicinity of my spouse so I’m going to stay here. You can use the core value to punish yourself and make your experience really negative. Or you can recognize that, sure, it’s not your first choice. But that doesn’t even really have to matter. So values can help direct you to make decisions that lead to these experiences that don’t require you to manage your brain very much. But when part of your life does go on opposition of that core value, so say you have the job that’s pretty rigid and not that flexible, how do you respond? It’s not like, oh, I can’t be happy. All that’s required then is that you manage your brain more. That you manage your brain around the flexibility. You stop telling yourself there’s no flexibility in this job and you find the flexibility. You figure out a way to be okay that the flexibility isn’t there. You start looking for reasons why more rigidity and structure is actually a good thing for you sometimes. That’s all available to you as well. So I believe that if you think that your core values are who you are and that they are just a fact about you, then that will create more resistance in your life and has a potential to make your experience of your life much less pleasant. But again, if you’re thinking, “Well, I think I might try to look for a new job and flexibility is a core value of mine,” there’s nothing wrong with going, “Okay, well, I’m gonna really narrow it down to the most flexible jobs that are out there.” I mean, there’s nothing wrong with that. My point is when you are in a situation that’s not in alignment with your core values, how do you respond? What do you do with that information? And some people can use that as something’s going horribly wrong. Or you can decide to manage your thinking about it and find other ways that that job is actually serving you. So I want you to watch for this rigidity in your thinking in believing that black and white exists. In believing that there is a true right from wrong. That truth with a capital T exists. Because once you start getting into that, you start creating that resistance. You start thinking that other people are doing it wrong and you’re judging them, which creates negative emotion for you. When you start feeling that righteous indignation, what it’s time to do is not convince other people that they need to change or that you’re right and they’re wrong. It’s time for you to turn inward and examine what you think is fact but is really a thought. This is super powerful stuff. When you recognize what the actual facts are, you put your belief about what is right or wrong on the thought line in the model and see what the result is of thinking that way. And the best news is that you can keep that if you want to. Right? I believe that children shouldn’t be sexually abused. If you have not watched Leaving Neverland, documentary on HBO about Michael Jackson, you absolutely have to. Especially if you know a child, have a child, take care of children, anything like that. It’s super powerful. You really, really, really need to watch it. But I like my belief that sexually abusing children is a problem and is a bad thing. And that that thought is going to make me feel disgusted. And my action is gonna be telling people about this so that they know and they can maybe start to recognize when a child that they know or that is in their family is being groomed by somebody. Maybe they can raise their hand and help a child and get the protection that they need. So that result, for me, is that I feel like I’m spreading the word on what a lot of people don’t talk about. I want to continue to believe that that’s a bad thing. But sometimes we have those beliefs and they don’t serve us at all. So the question is are your beliefs about what’s right and wrong serving you or not? Sometimes your belief about what’s wrong just makes you want to shrivel up inside and just makes you be filled with so much negative emotion that doesn’t drive the action of actually solving the injustice or the problem that you perceive is out there. So maybe thinking about it in that way is not serving you. So the only way to find out is to put that through a model. First you have to figure out is it actually a fact or is it a thought? And most of the time it’s going to end up being a thought, which is great news because we can change those if we decide we want to. This is super powerful stuff, you guys. I can’t wait to hear what you guys have to say about it. Remember, you can always leave me a comment on any podcast just by putting a forward slash at the end of my website and the number of the podcast episode. So this one is katrinaubellmd.com/118. 118. And you can leave a comment. Let me know what you think. And if you have questions about this, I might do another Q and A episode in the future and I’d love to answer your questions. So you can always leave me those there. Have a wonderful week and I will talk to you very soon. Take care. Bye. I really enjoyed listening to today’s episode. I know we can only control and coach ourselves, and I am not advocating that we all run out and try to teach our children these methods. But, I was wondering if you might consider doing a podcast on kids some week. And what I mean is, offer a few examples of how to help kids consider the thought model or get into a solution-focused mode when they are bogged down in negative thinking. More like ways we can control our thinking as parents with respect to our kid’s problems while still showing our support. Maybe even sharing how you might exlpain the thought model to a child (if you had to)?